In October 2013 two teenage sisters left Oslo for Syria. 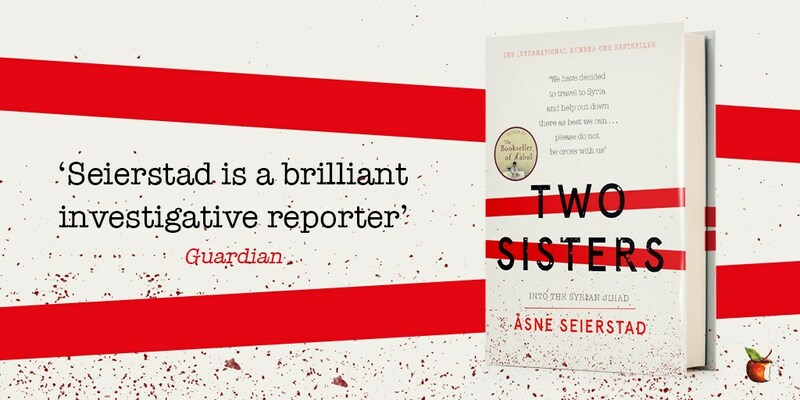 Two Sisters is the powerful and gripping true account of a family torn apart by Åsne Seierstad, the author of the international bestseller The Bookseller of Kabul. Åsne Seierstad was in the Virago offices at the end of last month and we have ten signed copies of Two Sisters to give away. To enter, simply fill your details in the form below, making sure to read our terms and conditions first. And look out for the next Virago podcast, where we will be speaking to Åsne all about her experiencing researching and writing this incredible book. 1. This is a prize draw to win one of 10 copies of Two Sisters by Asne Seierstad, signed by the author. To enter, please fill in your name and e-mail address in the form above. 4. The prize draw opens at 12:01 am BST on Wednesday 4th April 2018 and closes at 11:59 pm BST on Sunday 22nd April 2018. Any entries received outside these specified times and dates will not be eligible for entry into the competition. 9. The winners will receive an e-mail from the Company within one week of the closing date to arrange delivery of their prize.